How can Wellesley Whole Foods afford to slash prices this way? Many Wellesley residents have fond memories of the old Star Market and mourned its passing. 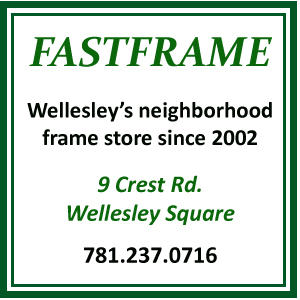 It was widely presumed that the store could simply no longer afford the high cost of doing business in Wellesley, what with it’s outdated business model that emphasized low prices and sales. Pictures don’t lie, people. If Whole Foods continues to roll back prices in this manner, there’s no telling what the future of the store could be. We can only hope that this is simply a loss-leader strategy and prices throughout the store are not taking an equal beating. In the meantime, please do not take unfair advantage of the store’s generosity by stocking up. Just accept their goodwill gesture for what it is. This article is ridiculous…no one liked the old Star Market. Star Market was gross and disgusting. If you are a smart shopper Whole Foods isn’t much more expensive than any other grocery store out there. I appreciate the fact that Whole Foods is lowering some of their prices to stay competitive….who cares if 1 sign in the store was wrong. I’m glad Whole Foods is in Wellesley and has been for many, many years. Whole Foods isn’t new in town people. Jen, it was obviously a light-hearted joke. just love Swellesley Report. This post is hysterical and provided much needed laughter on this grey-weathered mid-work-week day! Thank you for bringing this to our attention at Whole Foods Market, Wellesley. These tags were created by a computer error and were not meant to be posted. As you may know, we have recently lowered prices throughout the store, with savings much greater than this! Just having a little fun here…couldn’t resist. No, those tags were created by HUMAN error – man up girl! JK. But let’s be honest – computers only spew out what is put in, so let’s keep it straight for those folks out their who don’t know much about computers.